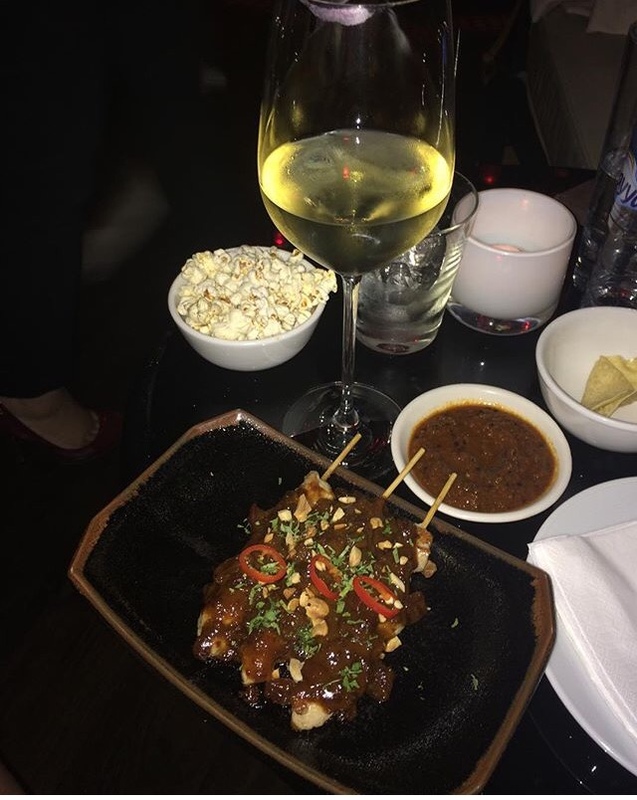 Spicemarket at W Hotel is always a great place to start a night out. Happy hour is 5.30pm – 7.30pm with a selection of wines, beers and cocktails at half price and a complimentary snack such as samosas, chicken satay and tempura prawns, the atmosphere is lively and there’s a nice buzz. The drinks area near the bar is sectioned off from the main restaurant which means if you are dining it’s quieter and I think this works well. Happy hour is always busy and as you can’t reserve a seat it’s wise to get there early so you can grab a table. As there were about 20 of us arriving at different times we couldn’t all sit, so we spread out over a couple of tables and stood at the bar. We asked if more seats could be brought over from the restaurant but were told this wasn’t possible but as the night progressed people moved around so it didn’t cause too much of a problem. Service at times was slow as it was very busy but also because we were a large group. We had numerous servers who tried their best to keep our drinks topped up but a few times we had to remind them about our order especially the final order before the end of happy hour but everyone enjoyed themselves. By about 8.30pm we were ready to move on and headed to the Rooftop at St Regis as we wanted to take advantage of the cooler evenings and do a bit of dancing. 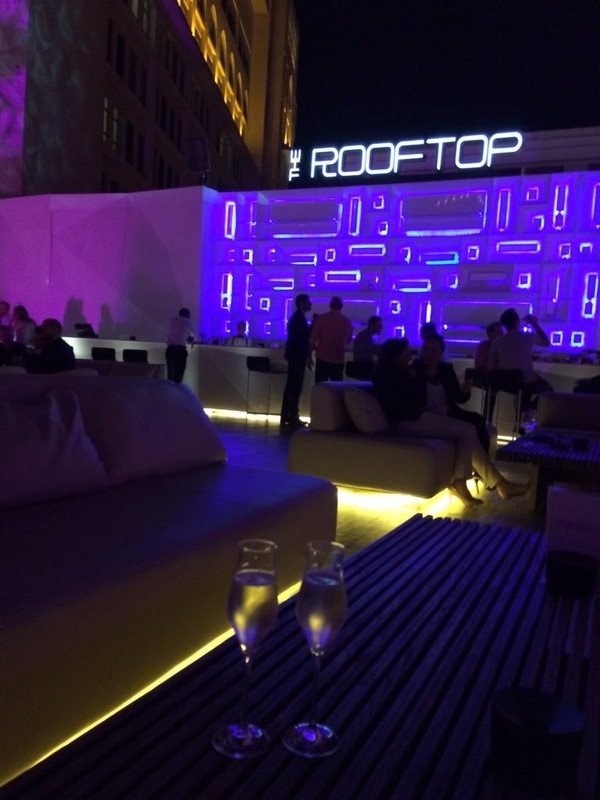 The Rooftop has a great view of the city and when we arrived there were two female DJs playing. On entry we got 2 tokens to exchange for a drink then we found seats – a mix of huge leather sofas and smaller booths. Many tables had reserved signs but we were told we could take a table and move on when those guests who had reserved it arrived, by midnight we still hadn’t been moved. The atmosphere was really good, a variety of music, good service and lots of space to dance or just sit and chat in the lovely breeze – a perfect place to end the night. It was a really lovely evening, I can definitely recommend both places for a group night out.